I used to say that I'm a self-confessed coffee lover even if I only have one go-to coffee drink at Starbucks. I didn't have any idea about the coffee beans, nor their roast profiles. All I know is that I want my coffee iced and with a non-fat milk. 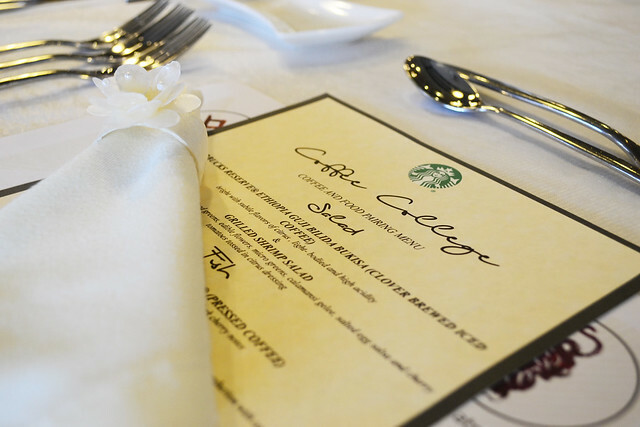 But with Starbucks Coffee College, I was introduced to a coffee immersion defining the roots of coffee, what food I can pair it with, different brewing methods and a whole lot more! 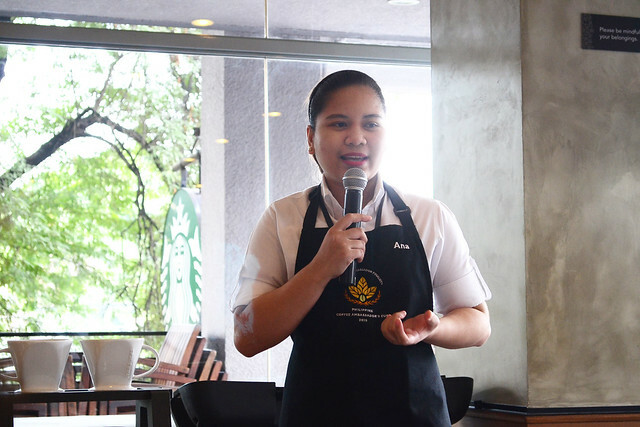 To start this lecture, Coffee Master Ana (2015 Starbucks Philippines Coffee Ambassador 1st Runner Up) took us to a coffee journey from Circa 800 AD until present time. I felt like I'm in high school studying geography when she tackled about where Starbucks source their coffee (Latin America, Africa and Asia Pacific Region) and the different Coffee Processing Method to bring out its flavor (Washed, Semi-Washed and Natural). 19th Century - Vacuum packaging was discovered. 1901 - First invention of soluble coffee by Japanese - American Satori Kato. Starbucks Senior Learning Specialist Matt took us to the Aroma Lab and showcased particular flavors unique to the different coffee's birthplace. 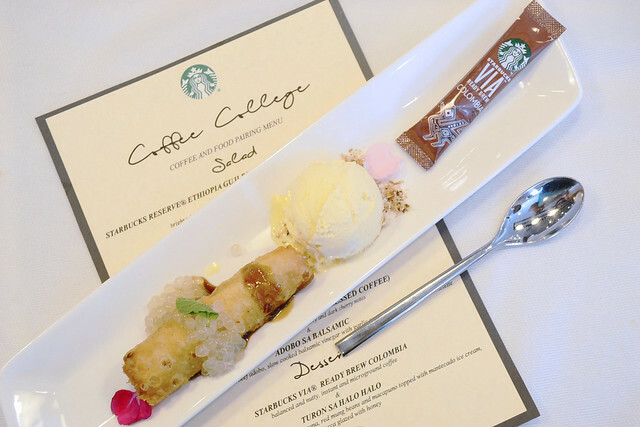 In front of us were three cups of different coffees partnered with things reminiscent to their aroma and flavor. First, we compared Columbia to the peanuts. We were tasked to sniff the coffee and the opened peanut shell. The nuttiness is pronounced to the Columbia coffee. It is very balanced because of its medium body and moderate acidity. 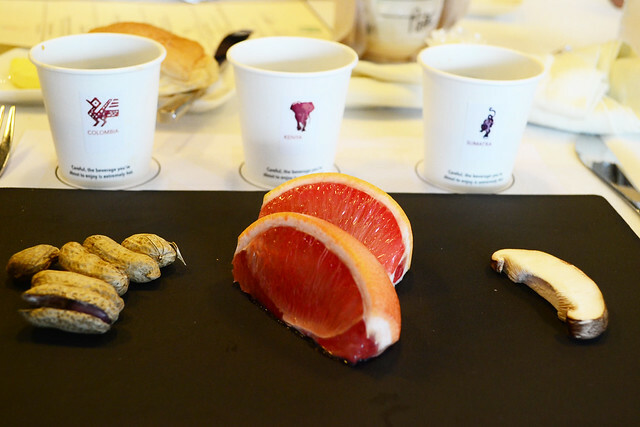 Second, the grapefruit was compared to Kenya. 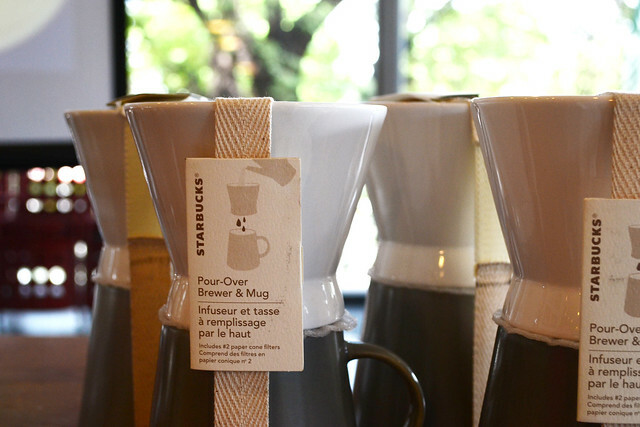 The citrusy taste of the fruit was similar to Kenya's full-bodied, juicy acidity taste. 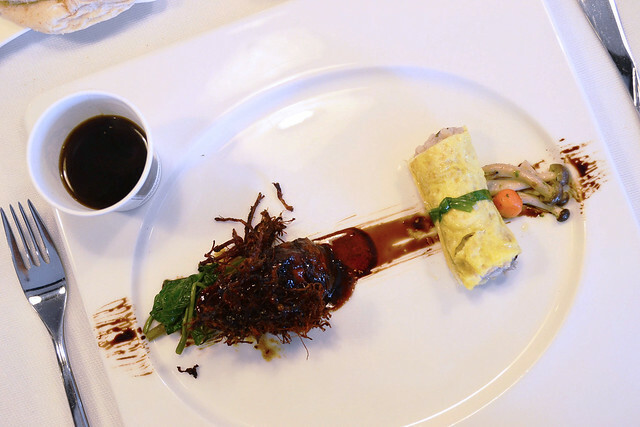 Lastly, the Sumatra was compared to a slice of Shitake Mushroom. We had to break the slice in two and smelled its earthy scent. 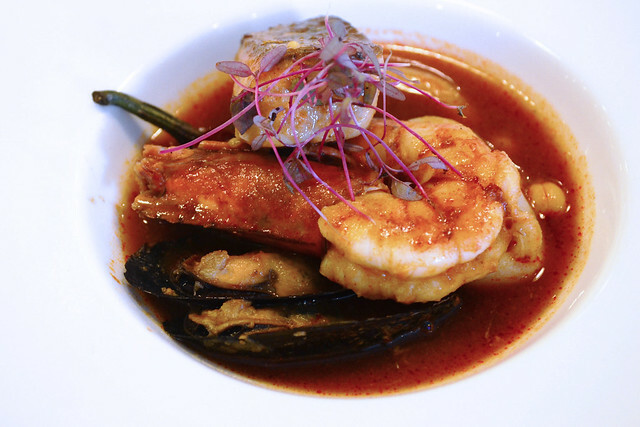 Their similar aroma embodies dry herbs and reveals bold flavors. 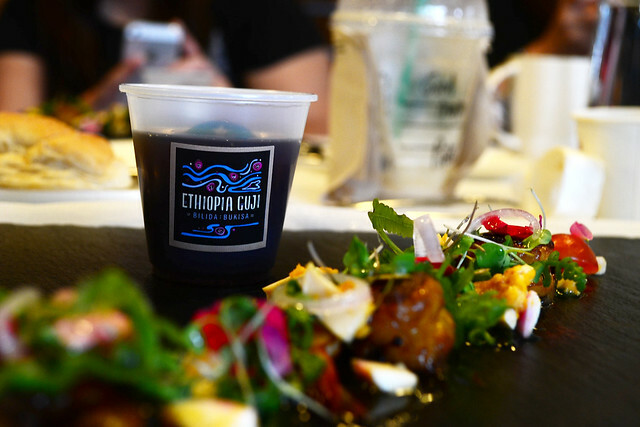 Since it was lunch time, we were served with Neo-Filipino cuisine paired with specific coffee flavors to bring out the taste in every dish. I made a compiled boomerang videos to show you guys quickly on how you can maximize your coffee experience by using a Coffee Press at home. 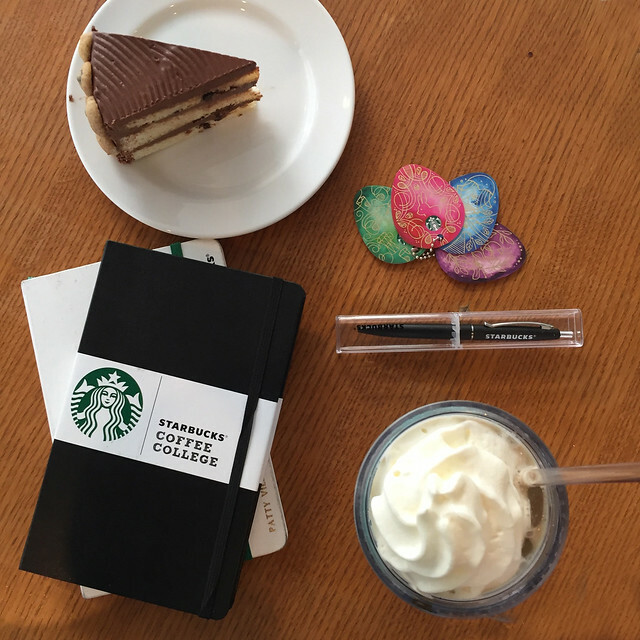 Whether you like hot or cold coffee, make sure to jot down some notes! 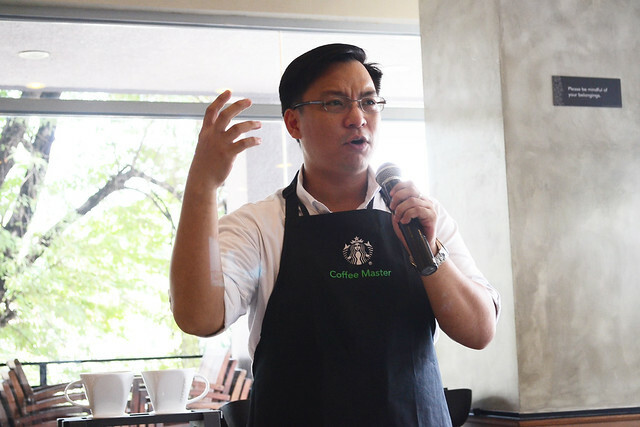 This educational course ended with an exceptional latte art demonstration by the 2015 Starbucks Philippines Coffee Ambassadors. They were so nice that they even taught some of us how to do it. 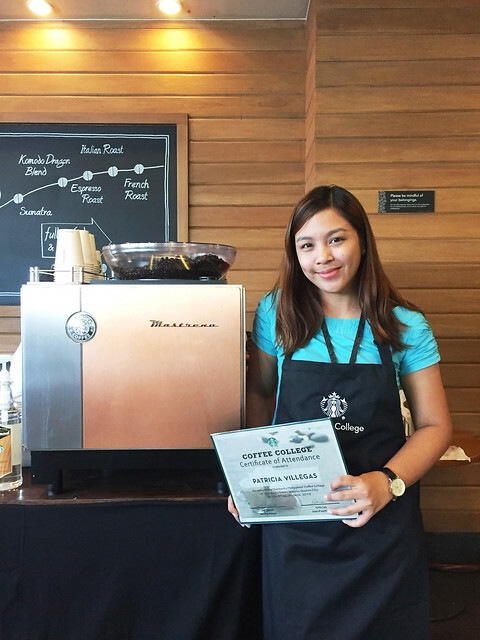 Through this experience, I get to know Starbucks more than just an entity of serving coffee. 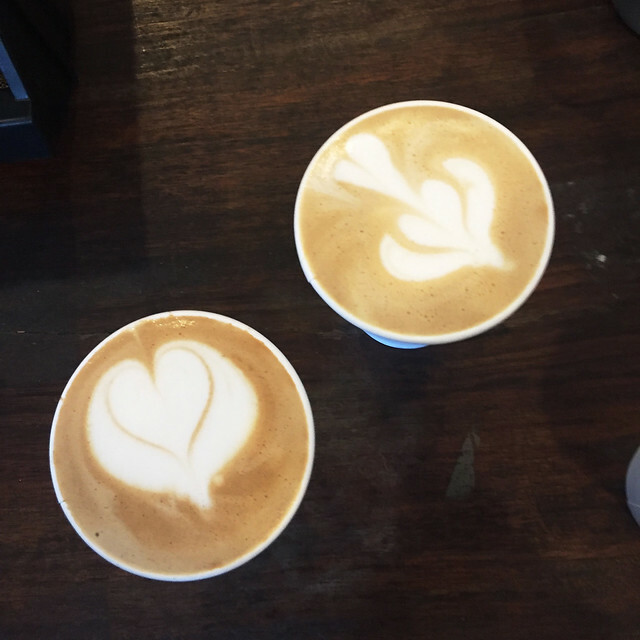 I was introduced to a world of passionate baristas not only dedicated to making the best cup of coffee, but also their ethics on sourcing and roasting coffee to help the community behind our much-loved coffee. They get my stamp for letting me achieve the ultimate Starbucks experience! Now, I was introduced to more coffee options which I like. What a long and interesting article. So much info to share. I love the history facts of coffee most. Coffee is something so normal and still so special! I love Starbucks. It's my favorite coffee since long time ago!! 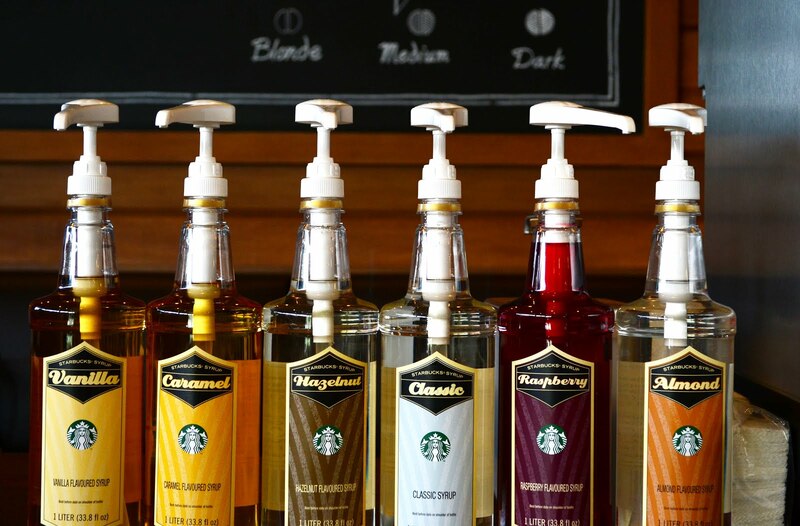 Oh I really enjoy Starbucks coffee so it was interesting hear some facts and history of the brand!! Coffee is such a big part of people's lives and I'm desperate to learn latte art, the baristas make it look incredibly easy! 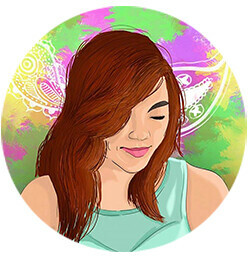 You're so lucky to be here. I'm not a coffee drink but nothing beats the aroma of coffee in the morning! I'm interested to join here. Hope you let me inform me if you will join again or know the next upcoming schedule. Thanks!